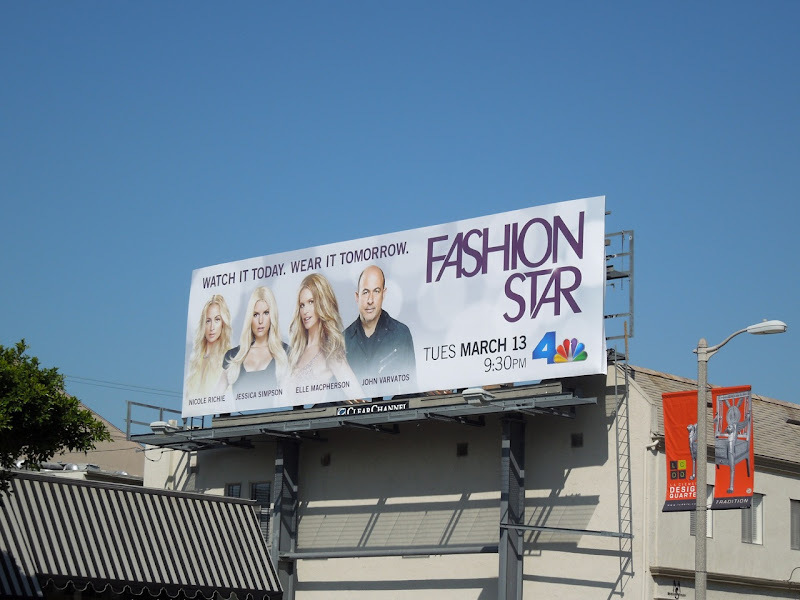 Not content with The Voice trying to steal American Idol's crown, now NBC hopes to launch a rival to Project Runway in the form of its new show, Fashion Star. Apparently you'll be able to watch it today and wear it tomorrow. Adopting the usual reality competition formula of judges from the appropriate industry, the show hosted by former supermodel Elle Macpherson, boasts fashion designer John Varvatos, socialite Nicole Richie and singer/actress Jessica Simpson as mentors of fourteen fashion hopefuls competing to sell their designs to buyers from Macy's, H&M and Saks Fifth Avenue. It's interesting that a rivalry already exists between the hosts of Project Runway and Fashion Star, as Elle Macpherson famously once accused Heidi Klum of stealing her nickname 'The Body'. Daily Billboard loves the German catwalk queen's show (and her biting, yet honest remarks) and these billboards for seasons six and seven of Project Runway were snapped along Wilshire Boulevard on August 18, 2009 and Santa Monica Boulevard on January 7, 2010 respectively, when the series moved from Bravo to Lifetime. 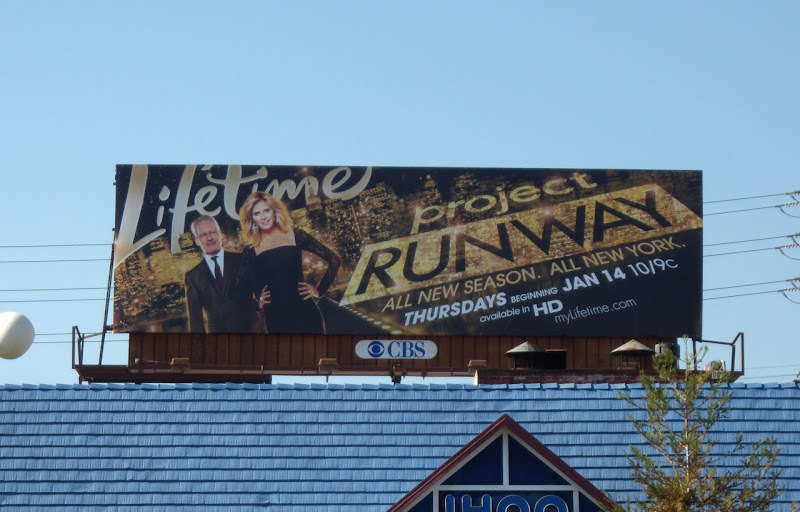 If you're a fan, be sure to also check out the Project Runway season nine billboard. 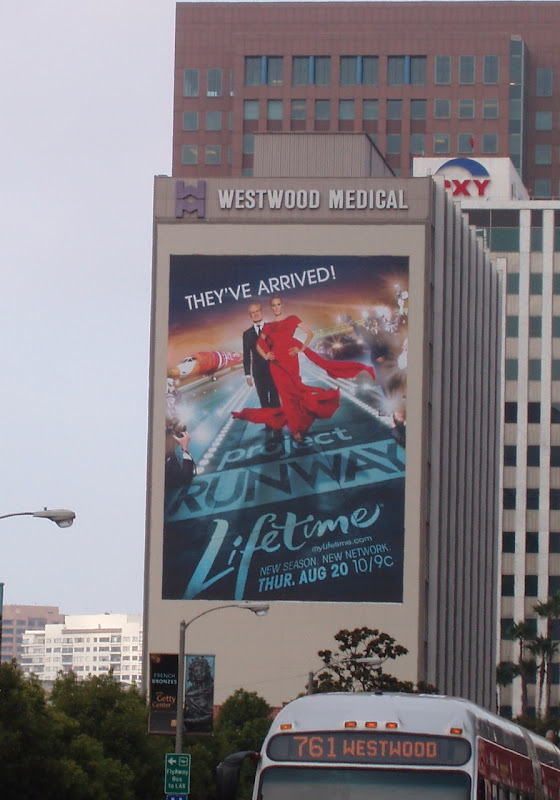 Bravo TV have already tried to recapture the glory days of Project Runway, but sadly hasn't managed to bottle that magic again, not with The Fashion Show (this billboard snapped along Westwood Boulevard on October 30, 2010) or with Launch My Line. So it will be interesting to see how Fashion Star fares. 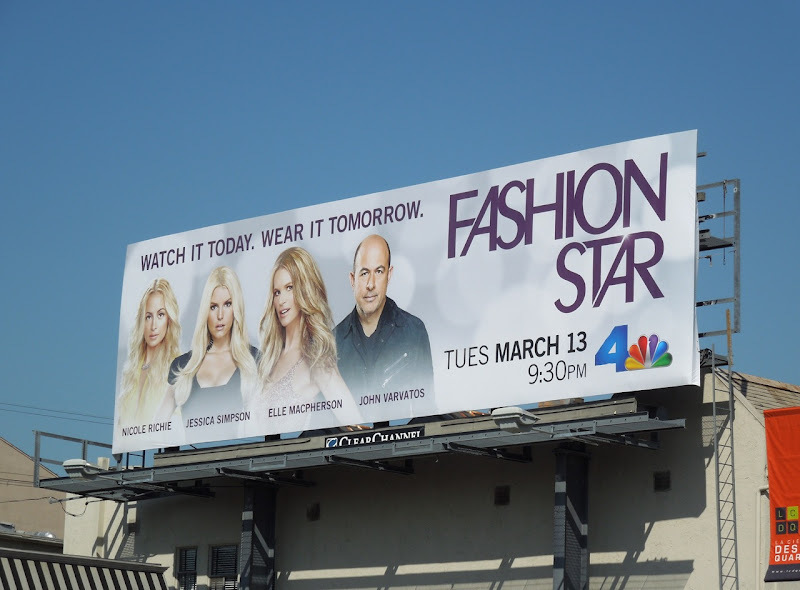 The billboard ads for this new contender were snapped along Sunset Boulevard on February 23 and along La Cienega Boulevard on March 2, 2012.